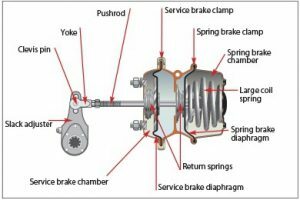 How Spring Brakes Function ? 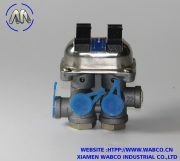 The spring brake is designed to apply the the brakes automatically in the event that there is a loss of system air pressure. 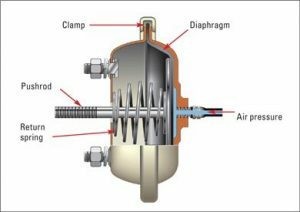 This happens because the air pressure holding back the heavy parking/emergency spring disipates allowing the spring to extend the pushrod which in turn applies the brake. 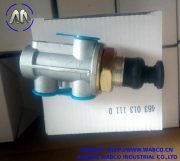 What is difference between Spring Brake Actuator and Brake Chamber? 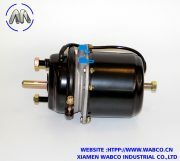 Brake chamber and spring brake actuators are used in Air braking system. mostly in heavy vehicles (Trucks). 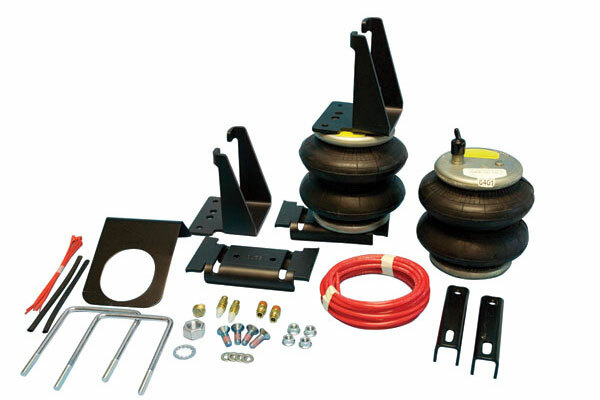 Brake chambers are used in Front axles and spring brake actuators in Rear axles. 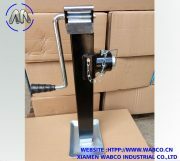 The main difference between Spring brake actuator and brake chamber is, Brake chamber doesn’t have hand-brake function but Spring brake actuator does have hand-brake function. 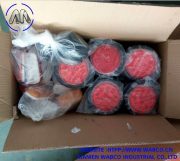 second chamber/Spring brake chamber (Red color): in this chamber pressurised air is available all the time, this pressurized air holding back the Large coil springs not to expand which connected to pushrod . so whenever driver applies the HandBrake the pressurized air which was holding the springs in second chamber gets released into atmosphere hence the large coil springs get expanded and pushes the Pushrod.